Dr. Souvik Ghosh is a statistician and a data scientist. His experience in statistical research has spanned over 13 years and has ranged from academic research on theoretical statistics and probability to industrial research and applications on big data. 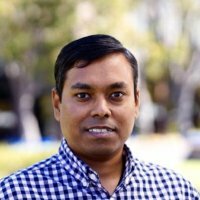 His areas of expertise include statistical modeling, data analysis, recommendation systems, graph analysis, computational advertising, social networks and systems for big data.